When was the last time you visited a Daiso store? For me, it had been about 5ish years since I’d been in, but after walking by a brand new one in Bellevue, it was calling my name and I had to go in. This new location was much less cramped than my last store visit, and I had no idea the treasure trove of cosmetics and makeup hiding inside! If you’re not familiar with Daiso, it is a Japenese chain that sells nearly everything for $1.50. From ceramics to housewares to food to clothing items, you can find pretty much anything you probably don’t really need there. ;) It’s a global chain but in the United States is in Texas, California, and Washington. (Here’s their store locator if you want to do some further digging.) Oh, and the majority of the packaging is not in English, so best of luck if you don’t speak Japanese on figuring out what exactly you’re buying. I thought it would be fun to try out their makeup and cosmetics. It was a little scary because as you’ll see in the photos, there are not many English words and I definitely do not read Japanese. Mostly, I was taking a stab in the dark and just grabbed items with appealing packaging. When I was checking out, the employee commented that the eyelashes in the gold packaging were her favorites, so I thought I’d probably be okay. 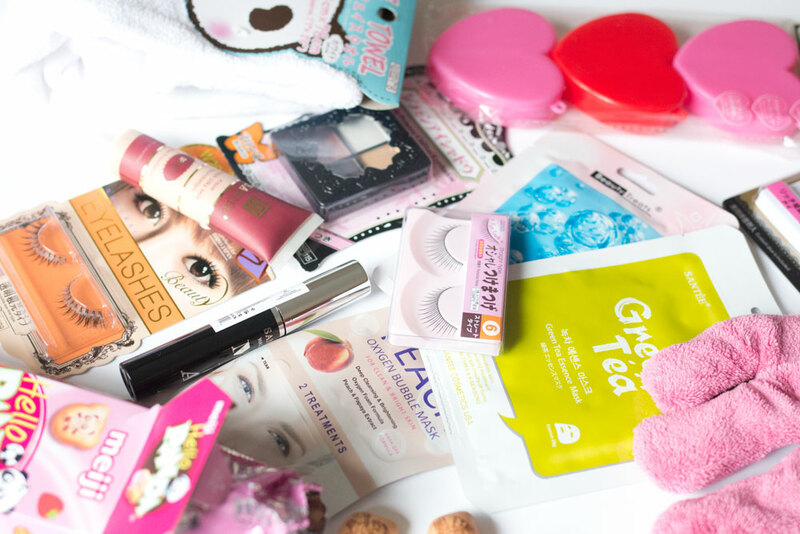 To see what I bought and whether I’d buy any of these items again, read on! Sweet Heart Cases, 3 pk: I initially had hoped to find an eyelash case similar to this one that I’ve seen so many YouTubers use. Unfortunately, my Daiso didn’t have it so I thought these cases would work instead. They don’t have any places to actually set the lashes, but the size and the price was right. Microfiber Face Towel: I was so curious what a “face towel” was so I had to pick this up. It’s a super soft microfiber cloth with a texture similar to a lighter terry cloth. Strangely, the instructions say to wash this by itself, but I’ve washed it with my other whites and nothing bad happened. Pretty sure it’s safe to wash it with other whites and towels. Santee Aqua Stylish Silky Milk Foundation in 1: Oh boy, where to start with this. The good: the color matched. The bad: everything else. It actually looks completely fine in photos, but the application of this was near impossible with a brush. It’s incredibly thick, like a paste, and the only way I could get it to apply was with a very damp beauty blender. I would not recommend this for the frustration factor alone, however for $1.50 it is quite a steal if you don’t mind the arm workout. Hello Panda in Strawberry: Whenever I see these in Asian grocery stores, I can never resist picking up a box. My favorite flavor is by far the strawberry one; it tastes just like strawberry milk and reminds me of my childhood. They’re pretty addictive, so be warned. 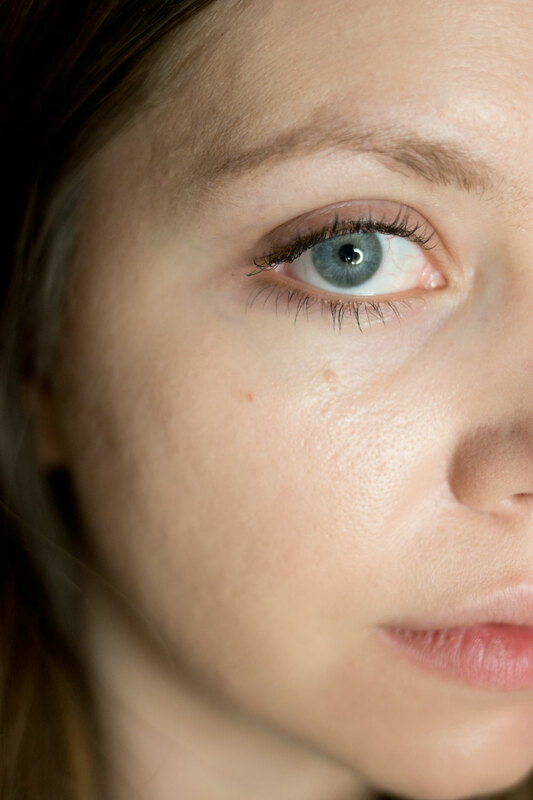 Santee Waterproof Mascara in Black: Honestly, this was pretty disappointing. The wand looks like a larger version of the spoolies that you can find at Sephora and the actual formula is pretty thin and stringy. 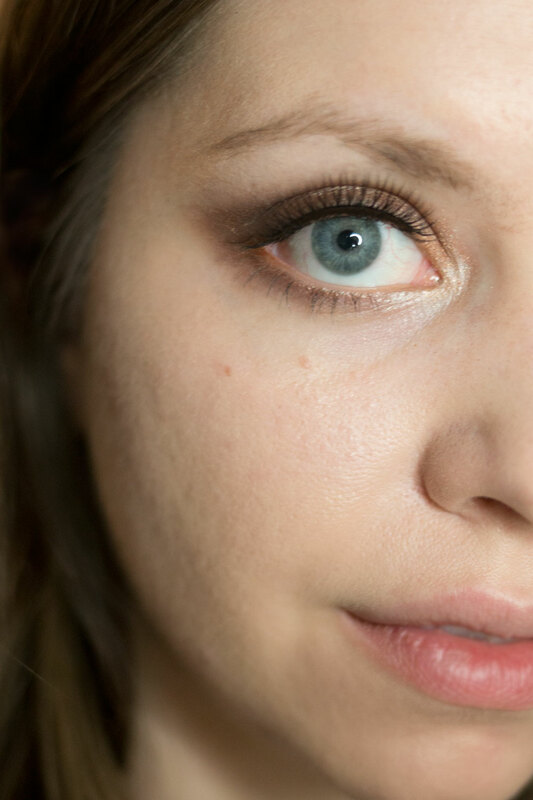 I didn’t find that it did much more than tint my lashes, however, it does not clump at all which makes it a great formula for the bottom lash line. Santee Green Tea Sheet Mask: My experience with both sheet masks from Daiso was just okay. I’ve definitely used much better masks, but also much worse as well. They were hydrating, but not incredibly so. I found within a few hours my skin was back to feeling dehydrated and I had to add my normal serum/moisturizer. 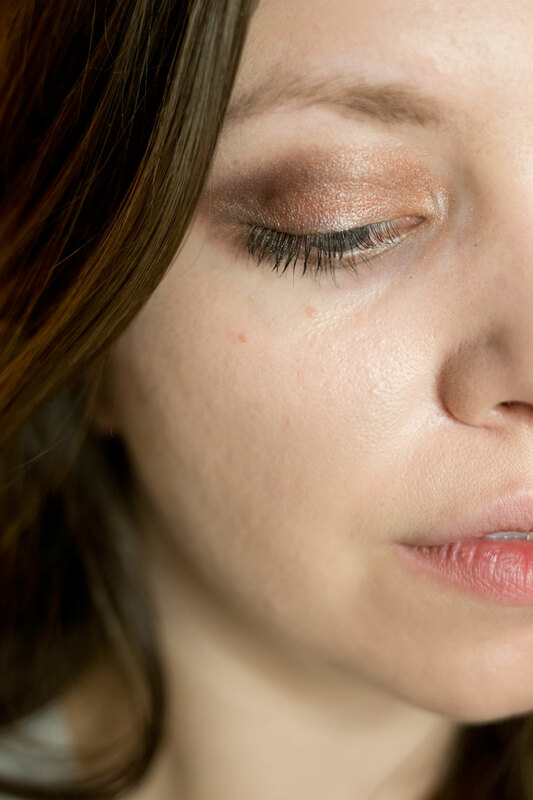 Ellefar Princess Chiffon Eyeshadow Quad in Bronze: For $1.50, I was shocked at how pigmented and not horrible these eyeshadows were. I’d say they are similar in quality to some of the e.l.f. 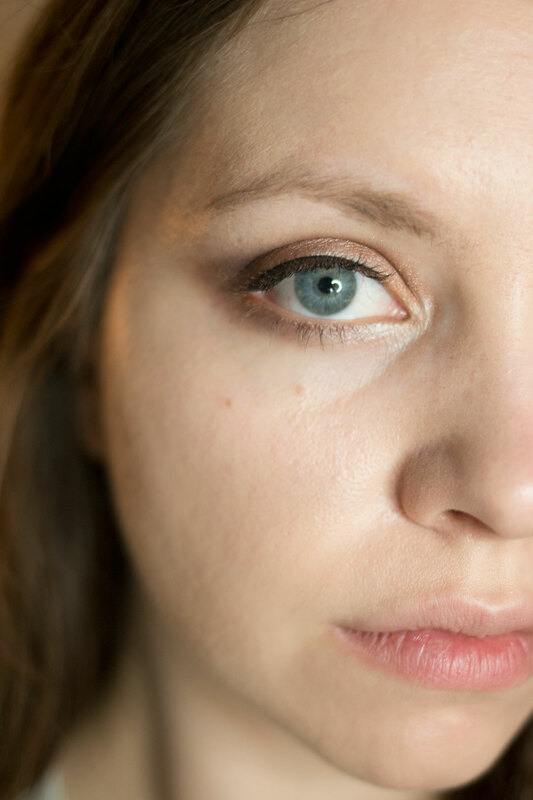 Cosmetics shadows that you find in some of the larger palettes and in their older sets. I was able to make a decently attractive eye look with this quad. My only complaint is that each shade is super shimmery, so it’s hard to really create a well-rounded eyeshadow look and a good base with this quad alone. Natural Beauty Eyelashes in W202: These were definitely my favorite lash. I loved the flared edges and the amount of volume it added to the lashline. They look pretty yet natural. I would definitely buy these again. Hair Drying Glove: When I saw this, I just had to try it. They honestly are the most ridiculous looking thing ever, but it does work. It’s essentially the same material as the microfiber face towel from above, but in hand shape so you can wring out your hair while you’re blow drying. The material does a good job of absorbing water and I did notice a difference in overall drying time. Straight Type Eyelashes in #6: I really honestly do not know why I bought this. I have a feeling I didn’t see the “straight type” on the packaging, because honestly, why would you want straight lashes?! This was just what it said. Straight eyelashes. No good. I threw these away. And now that I’ve tempted you with all these unique and interesting finds from Daiso, I’m sure you’re running off to get yourself some $1.50 makeup. Or not. 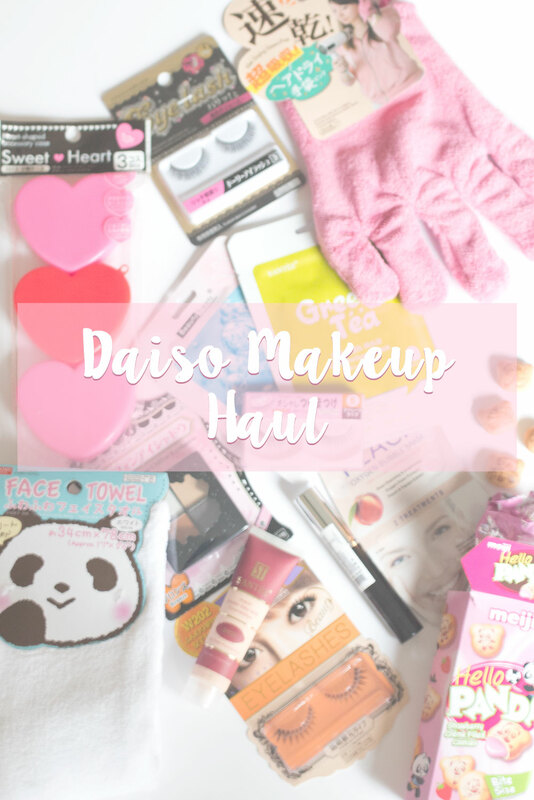 Let me know in the comments if you’ve ever visited a Daiso and what your favorite products are, or if you’d like to see more finds from Daiso! 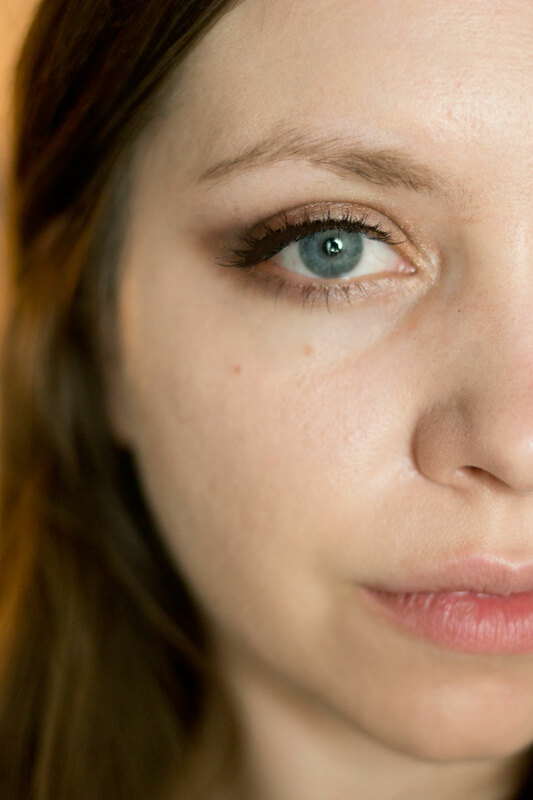 Maybe a full face makeup look only using Daiso products? I’ve never even heard of Daiso, but now I wish there was one here! I love cheap and fun things, Jarrod loves Japan (and he might be able to read some of the packaging!). Well if you ever happen to visit Washington, California, or Texas, you’ll have to check it out! It’s quite the experience and a lot of fun to see what oddities you may find! You are a brave, brave soul for putting a ton of skin products on your face without being able to read very much of what ingredients are in each product! I’m glad that most of the products ended up being good! 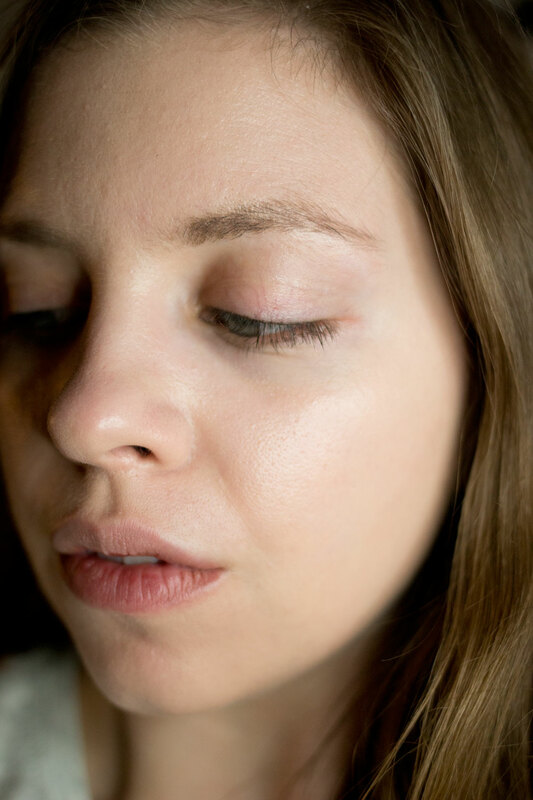 I bought a mascara when I lived in China that was hands down the best mascara I have EVER owned and wish I could go back and buy a million more tubes! have you been to the richmond, bc, daiso? two floors. way more stuff than any washington stores.